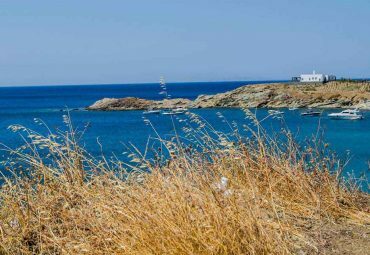 Get on a cruise from Paros to exotic Koufonissia and explore this tiny complex of exotic islets that will take your breath away! 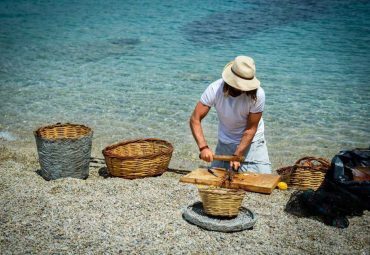 They are everything you expect to see in Greece: exotic turquoise waters, sun kissed beaches, impressive sea caves, rocky formations carved by the waves, whitewashed houses with blue windows and of course traditional taverns with delicious food. 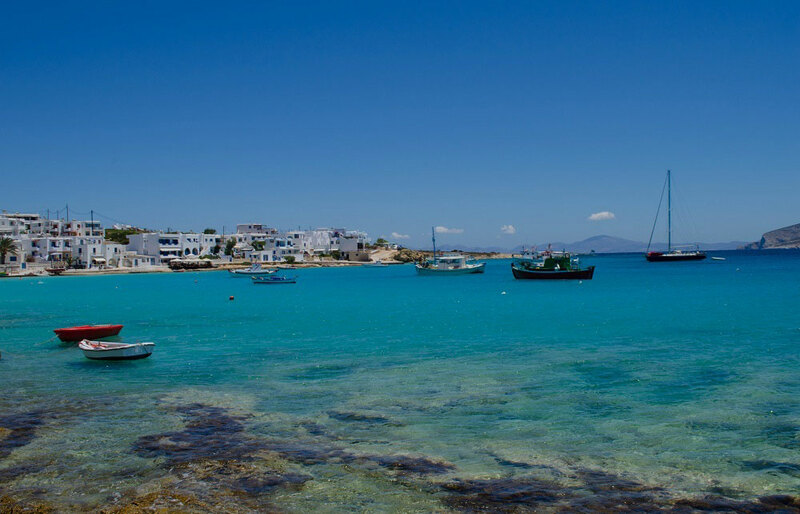 Hop on to a 10 meter RIB speed boat from Paros and cruise straight to the stunning Koufonissia. 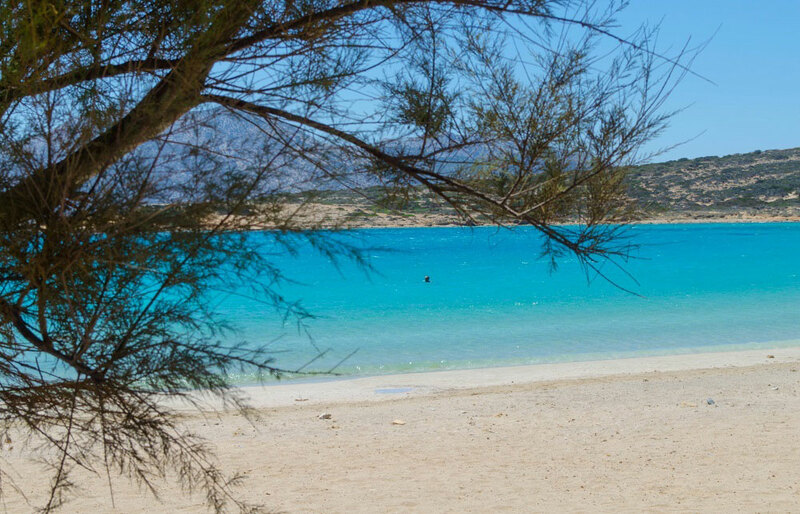 You will make you first swimming stop at the transparent turquoise waters of Pori, considered by many the most beautiful beach on Ano Koufonisi. Right next to it, you will find the famous Gala beach, a small, secluded beach extending under a huge rock forming a natural pool. 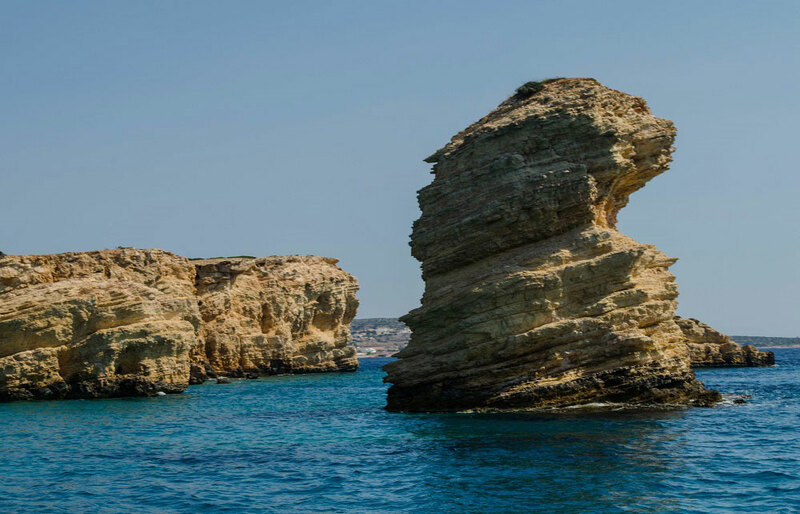 Right after, you will continue to cruise along the eye-catching coastline of Ano Koufonisi, and make several stops to explore its carved cliffs, eccentric sea caves, natural pools and golden beaches. Soon you will reach the picturesque port of Ano Koufonisi, where, if you wish, can make a stop to a well-known fish tavern for some delicious fresh fish! You will then continue to see the small uninhabited islet of Glaronisi and dive in its deep emerald waters to explore its striking sea caves. 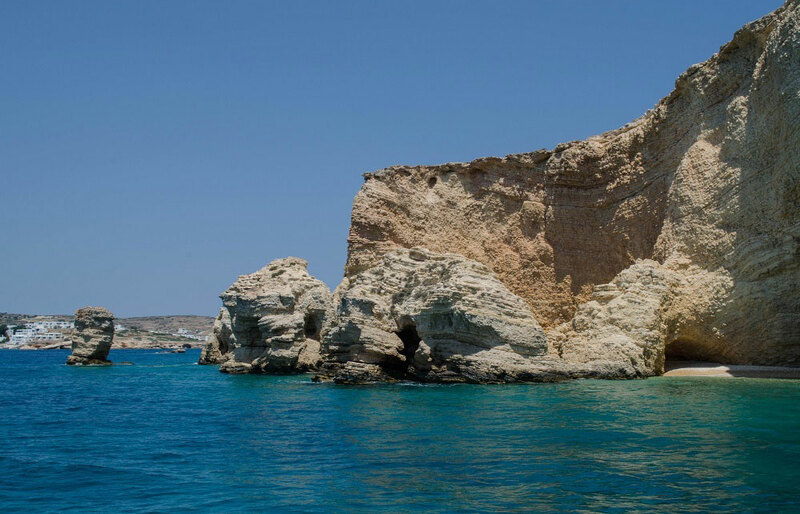 From there, you will sail to the majestic Kato Koufonisi and stop in a few of its mesmerizing beaches for a couple of swimming stops. 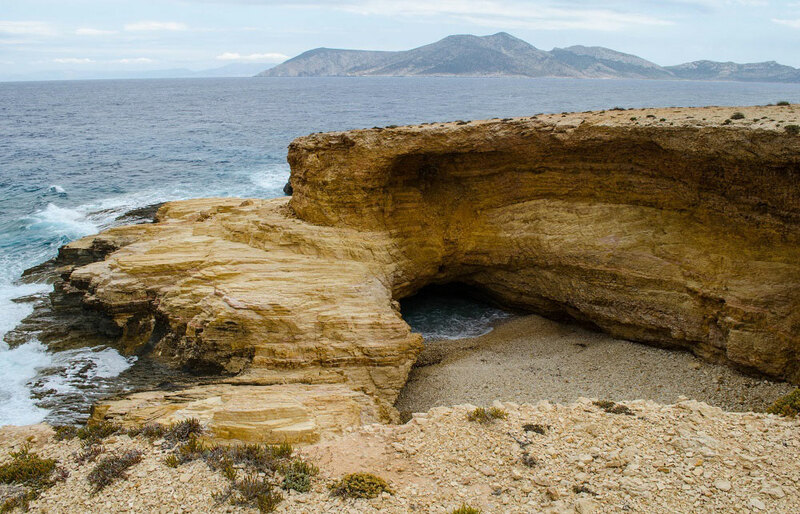 Finally, you will reach its famous Kastelli beach, a true exotic paradise, blessed with dramatic geological formations, turquoise waters and unique sea caves. 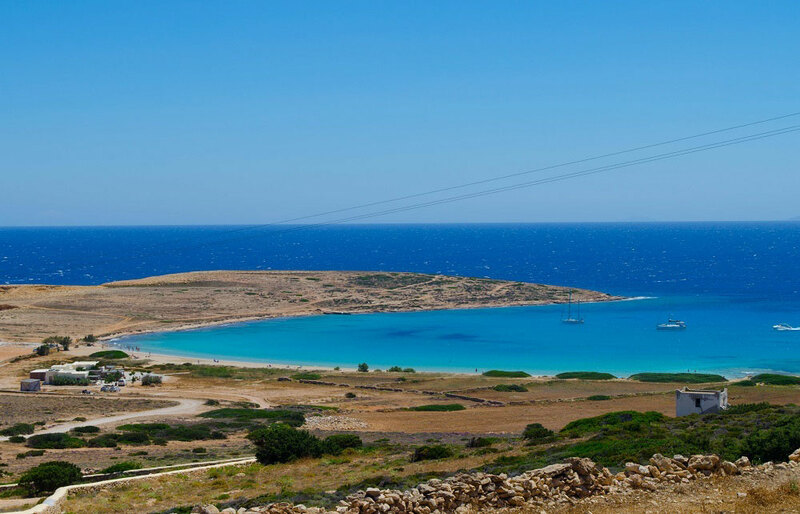 There you will have time to explore the astonishing landscape and relax before you head back to Paros. 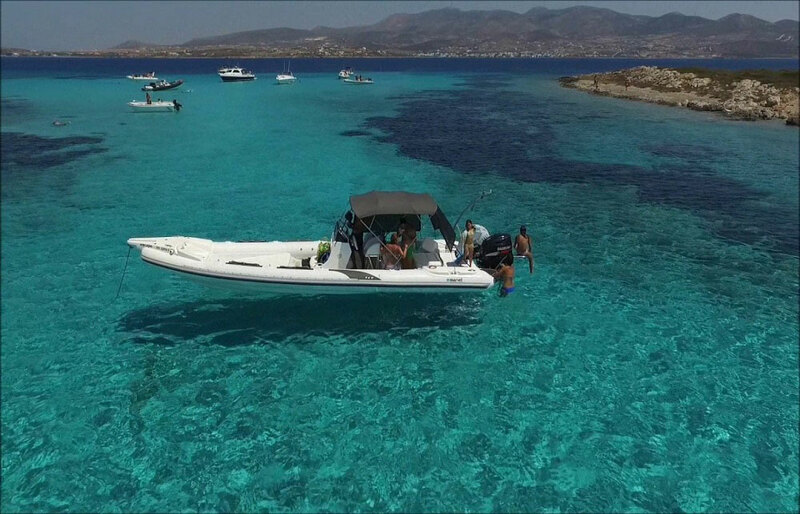 Hop on to a 10 meter RIB speed boat from Paros and cruise straight to the stunning Koufonissia. From there, you will sail to the majestic Kato Koufonisi and stop in a few of its mesmerizing beaches for a couple of swimming stops. 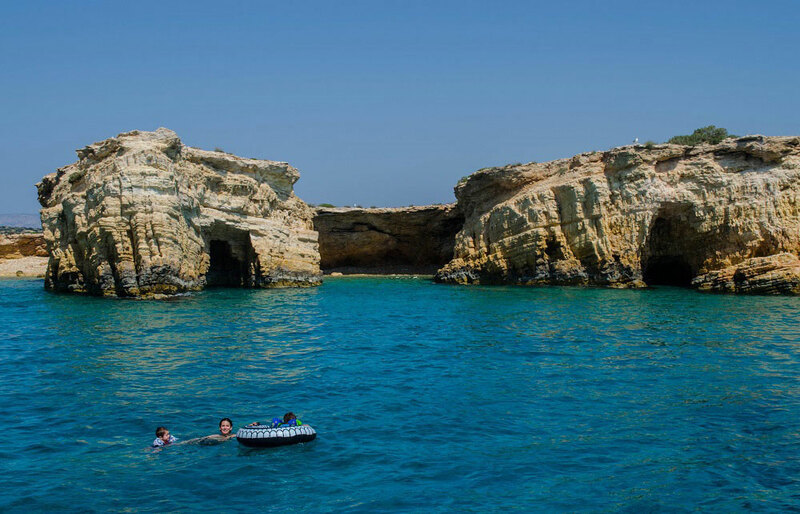 Finally, you will reach its famous Kastelli beach, a true exotic paradise, blessed with dramatic geological formations, turquoise waters and unique sea caves. 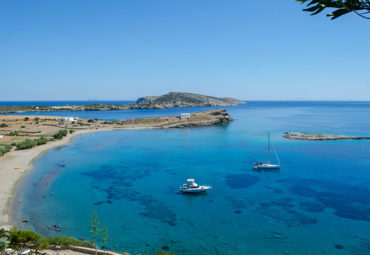 There you will have time to explore the astonishing landscape and relax before you head back to Paros.